Pediatric patients face a multitude of orthopedic disorders that require orthotic or prosthetic treatments. Preferred Orthotic and Prosthetic Services, Inc. (Preferred O & P) provides innovative and intuitive orthotic and prosthetic care serving the Puget Sound communities. Prosthetics & Orthotics work together to address the vast needs of patients requiring artificial mechanical support due to trauma or disease. Orthotics and prosthetics improve functioning and living for patients, giving patients a new lease on life. Orthotics is the branch of medicine which addresses the making and fitting of orthopedic devices. Orthopedic devices are mechanical aides used to prevent or assist movement of joints or limbs. A prosthetic device (prosthesis) is an artificial device that replaces a missing body part. Orthotic and prosthetic services are prescribed for patients requiring orthotic bracing or artificial limbs. 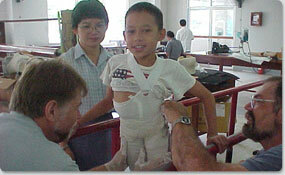 Orthotic and prosthetic services are constantly evolving. 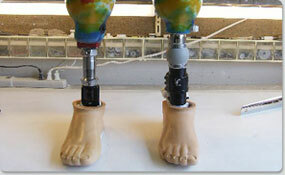 New technologies are developed and put into use, continually improving the quality of prosthetic devices. Robotic technology is improving prosthetic technology and the feel of the prosthesis. New technologies in prosthetic skins allow for a natural look in the prosthesis. Preferred O & P Services practitioners stay abreast of new technologies and practices in the field of orthotics and prosthetics and incorporate them to improve their patient's success rates. Preferred O & P Services is a practitioner-owned and -operated small business which utilizes new technologies and expert practitioner skills to improve the care and results for all of their patients. Preferred O & P Services provides premium orthotic and prosthetic care and services to patients in the Pacific Northwest.